The Sequel to "Alchemy: a story of perfect murder" - available for Pre-Order at Amazon. Launch date: 14 December 2015. After finding Jacob Silver's body missing from his grave at Pentonville Prison, Lizzie Weston battles to prove he is immortal - and clear his name. Detective Inspector George Neville searches for Jacob's missing remains and learns that Nicolas Flamel is not only alive but cooking another brew - and leaving dead bodies wherever he goes. Portraits and heads in jars, exhibits from Jacob Silver's "trial of the century" cause havoc as Jacob's murdered victims seek revenge. Sir Robert Weston is honoured by Queen Victoria for services to medicine - after stealing with Jacob's discoveries. But where is Jacob Silver? A new trial, the sensation of the next century, reveals all. 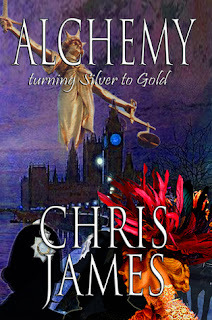 Alchemy: turning silver to gold takes us on another trip to Victorian London, following the sensational hanging of Jacob Silver. This definitely needs to be read in conjunction with Alchemy: a story of perfect murder as it won’t make much sense as a stand-a-lone novel and it follows on directly from the first book. Where the first Alchemy book was about the quest for immortality, this second book in the series examines whether immortality has actually been achieved, thanks to the elixir that Jacob gave to his friend Lizzie Weston. 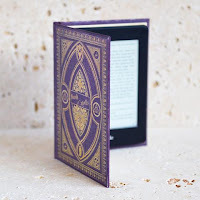 Lizzie emerges unscathed from some life-threatening events and she begins to believe she is immortal, all the while you feel that all of these strange happenings are being orchestrated by the legendary Nicolas Flamel. Although Jacob doesn't appear until halfway through the book, Lizzie is a main character who had me enthralled. She has an air of the supernatural about her, having miraculously survived consumption and an explosion, and I felt she almost glowed from within the pages of this book. I did really enjoy this but not as much as the first book as some parts were a bit too fantastical for my liking; I was okay with the chattering evil decapitated heads in jars but Lizzie's effect on them was a bit puzzling. Perhaps it will become clearer in the third book, for which I can't wait, thanks to the amazing cliffhanger at the end of this book. Chris James has certainly mastered the art of making the reader eager for more! As with the first book, I thought the spectacle of the trial was described brilliantly; the writing is so vivid that I felt I could have been sat in the public gallery myself. As with the first book, there are some famous faces making an appearance in the story and this all adds to the authentic flavour of the book. Chris James has managed to completely immerse the reader in the Victorian era, although I did question whether the ‘f’ word was in use back then. I can see this being a series of books I will re-read over the years, they are very entertaining and I'm such a greedy reader as I'm already looking forward to the next one.